Pre-season: Zamora 0-4 Real Madrid Castilla | The Real Madrid Fan! Real Madrid Castilla raced off to a 4-0 win in a resounding performance against Zamora at Estadio Ruta de la Plata with Raul de Tomas, Alvaro Medran scoring and Cristian Benavente grabbing a brace. It was a fine show throughout from Real Madrid Castilla from goalkeeping of Alfonso Herrero who made some exceptional saves to keep Castilla in it and ensure he went home with a clean sheet. 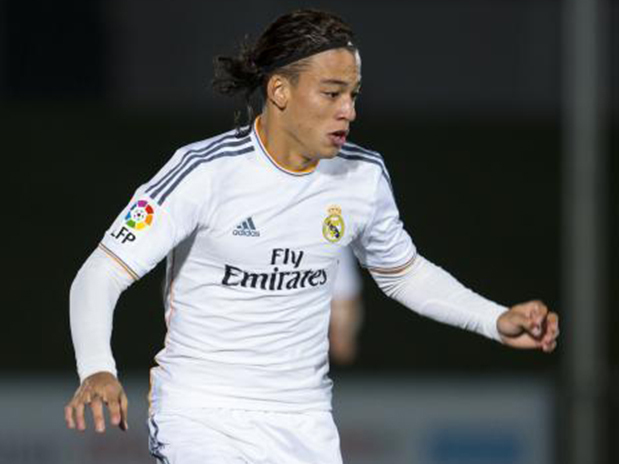 Castilla struck on their very first corner opportunity. Raul de Tomas opened the scoring with a well taken header early on in the game to give Zinedine Zidane’s side the lead. Castilla had plenty more chances to add to that scoreline in the first half but missed each time. On the other end, Alfonso remained busy too and kept Zamora’s players at bay. In the second half, Benavente latched onto a gorgeous through-ball by Sergio Aguza. The Peruvian international rounded the goalkeeper after he found himself in space thanks to that pass and made no mistake in finding the back of the net. Castilla continued to create chances and one such chance fell to Alvaro Medran who was playing his first game of the season with Castilla having been on Real Madrid’s tour of the US earlier. He found himself in space and smashed a thunderbolt past the goalkeeper which found its destination in the form of the roof of the net. The dominance and annihilation was complete when Benavente raced onto the goal and scooped/chipped the goalkeeper who was caught in no man’s land. Very little credit may be shown to Alfonso, who in my opinion was fantastic in goal. So far, Real Madrid Castilla have played four pre-season games and have won three and drawn one. Zizou’s team started with a 1-0 win over Guadalajara and won by the same scoreline against Real Madrid C. Then they drew 0-0 with Cultural Leonesa. Next pre-season game for Castilla is against Alcorcon on 13th August.